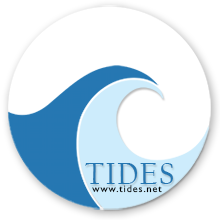 (4629) Today's Red Point tides for Tuesday, April 23, 2019. Sun 6:15am-7:49pm. Thursday, March 1, 2018. Sun 6:36am-5:56pm. Friday, March 2, 2018. Sun 6:35am-5:57pm. Saturday, March 3, 2018. Sun 6:33am-5:58pm. Sunday, March 4, 2018. Sun 6:32am-5:59pm. Monday, March 5, 2018. Sun 6:30am-6:00pm. Tuesday, March 6, 2018. Sun 6:29am-6:01pm. Wednesday, March 7, 2018. Sun 6:27am-6:02pm. Thursday, March 8, 2018. Sun 6:26am-6:03pm. Friday, March 9, 2018. Sun 6:24am-6:04pm. Saturday, March 10, 2018. Sun 6:23am-6:05pm. Sunday, March 11, 2018. Sun 7:21am-7:06pm. Monday, March 12, 2018. Sun 7:20am-7:07pm. Tuesday, March 13, 2018. Sun 7:18am-7:08pm. Wednesday, March 14, 2018. Sun 7:17am-7:09pm. Thursday, March 15, 2018. Sun 7:15am-7:10pm. Friday, March 16, 2018. Sun 7:13am-7:11pm. Saturday, March 17, 2018. Sun 7:12am-7:12pm. Sunday, March 18, 2018. Sun 7:10am-7:14pm. Monday, March 19, 2018. Sun 7:09am-7:15pm. Tuesday, March 20, 2018. Sun 7:07am-7:16pm. Wednesday, March 21, 2018. Sun 7:05am-7:17pm. Thursday, March 22, 2018. Sun 7:04am-7:18pm. Friday, March 23, 2018. Sun 7:02am-7:19pm. Saturday, March 24, 2018. Sun 7:01am-7:20pm. Sunday, March 25, 2018. Sun 6:59am-7:21pm. Monday, March 26, 2018. Sun 6:57am-7:22pm. Tuesday, March 27, 2018. Sun 6:56am-7:23pm. Wednesday, March 28, 2018. Sun 6:54am-7:24pm. Thursday, March 29, 2018. Sun 6:52am-7:25pm. Friday, March 30, 2018. Sun 6:51am-7:26pm. Saturday, March 31, 2018. Sun 6:49am-7:27pm.